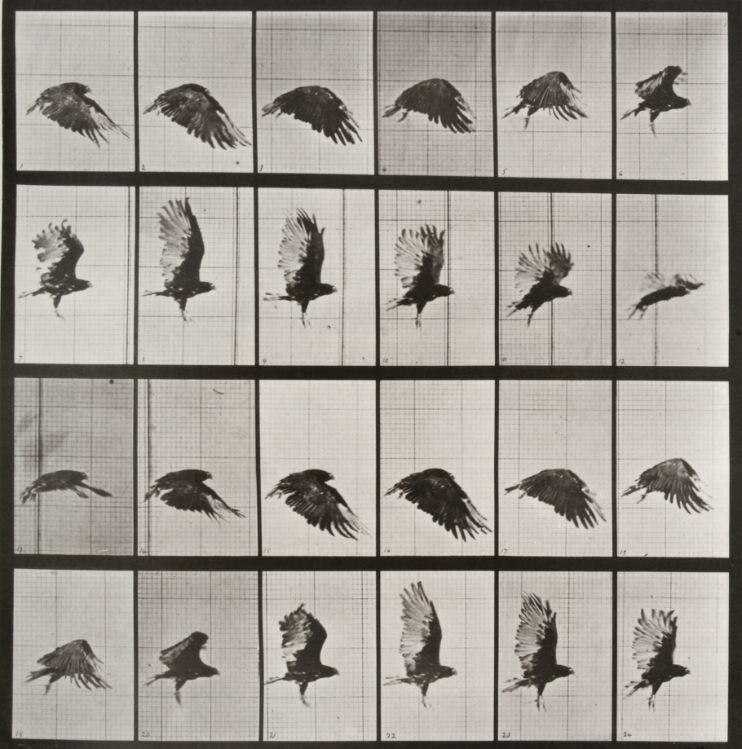 Born in 1830 in Kingston upon Thames, London, Muybridge emigrated to America as a young man and worked as a bookseller. 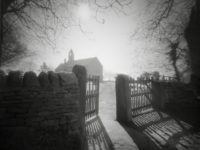 After being injured in a runaway stagecoach crash in Texas he returned to the UK for a five-year period where it is thought he took up photography. 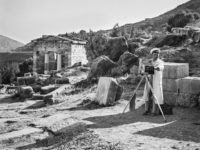 Upon his return to America, he quickly established a successful career as a landscape photographer, producing dramatic views of both Yosemite and San Francisco. 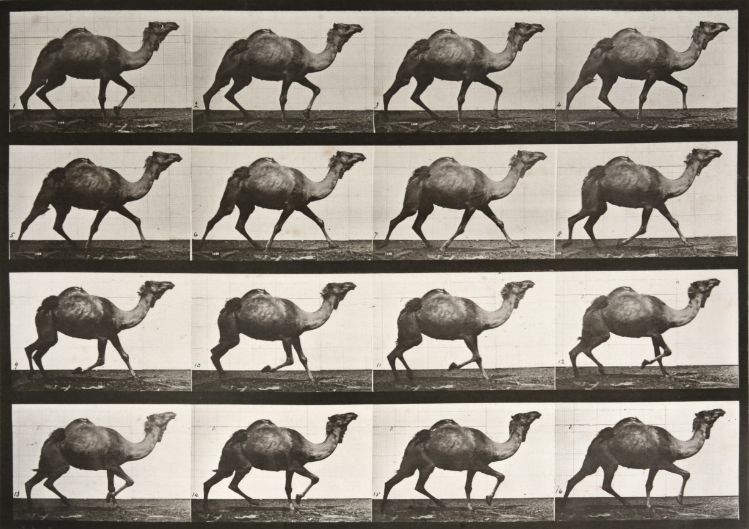 His reputation as being an adventurous and progressive photographer led him to work as both a war and official government photographer. 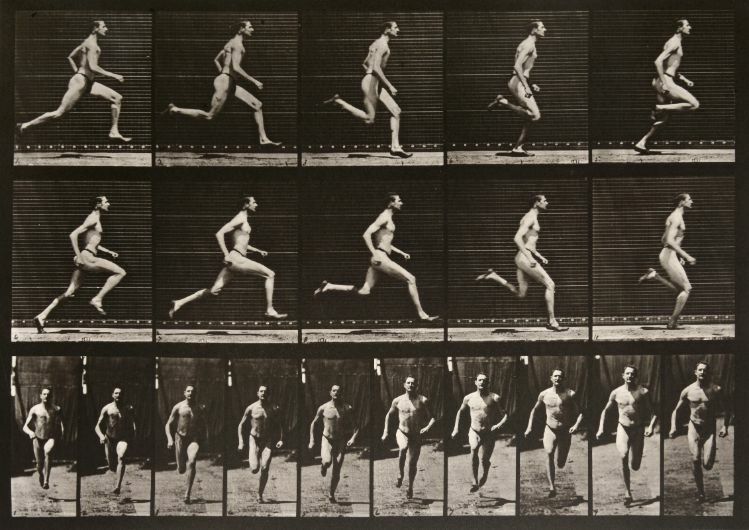 In 1872, the former Governor of California, Leland Stanford, hired Muybridge to photograph his horse galloping, to discover whether the animal’s hooves were lifted off the ground at the same time a popular debate at the time. 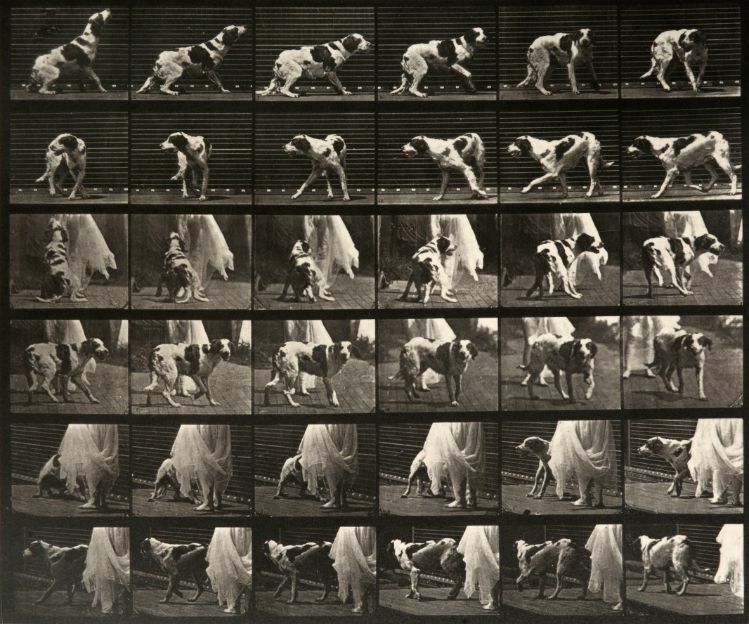 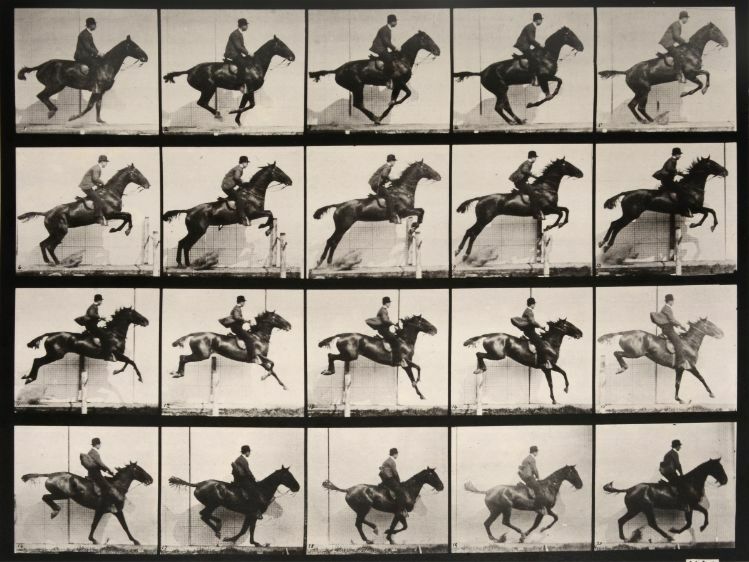 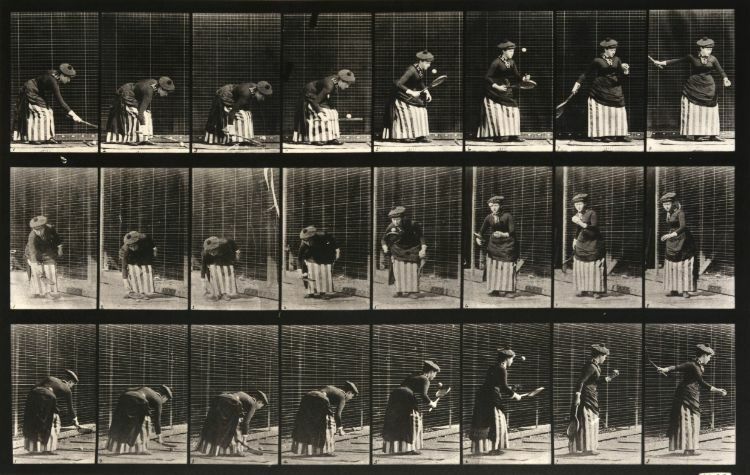 In order to photograph the horse at speed, Muybridge engineered a system of multiple cameras with trip wire shutter releases to capture each stage of the movement which proved conclusively, for the very first time, that a galloping horse lifts all four hooves off the ground. 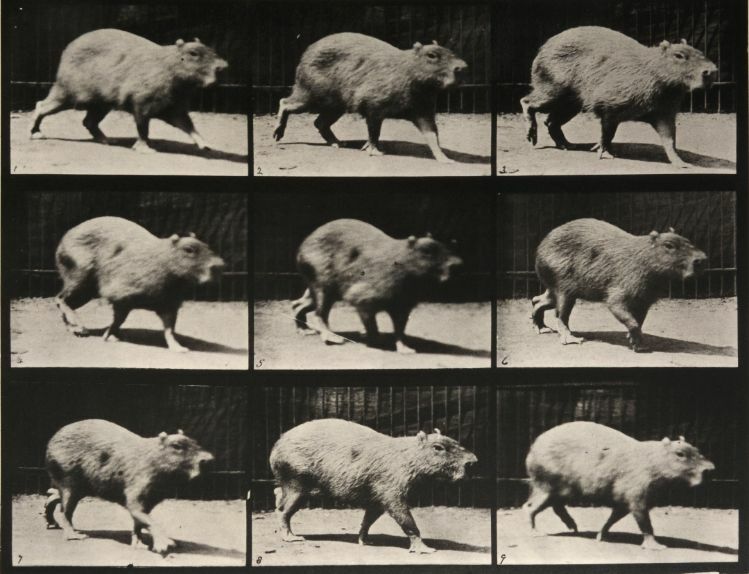 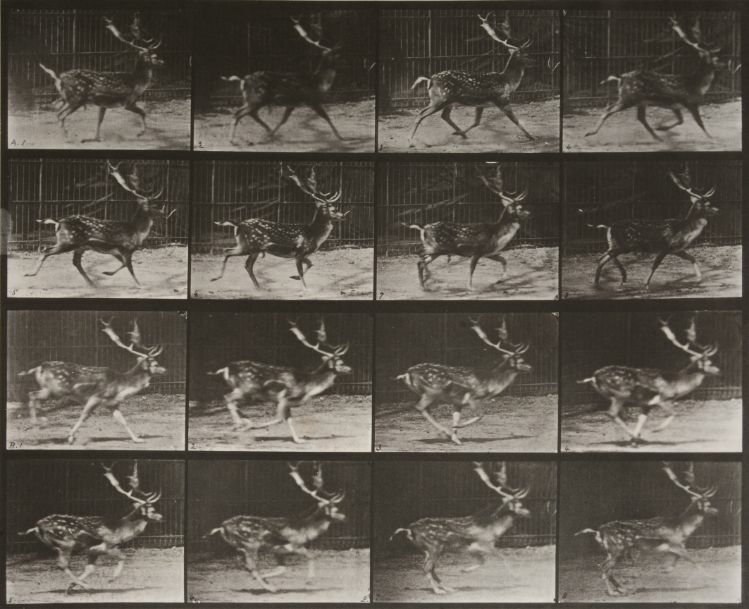 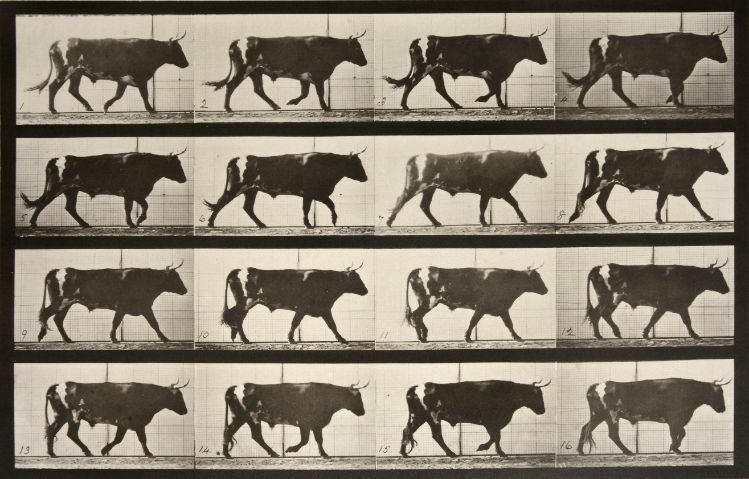 This work laid the foundations for “Animal Locomotion”.